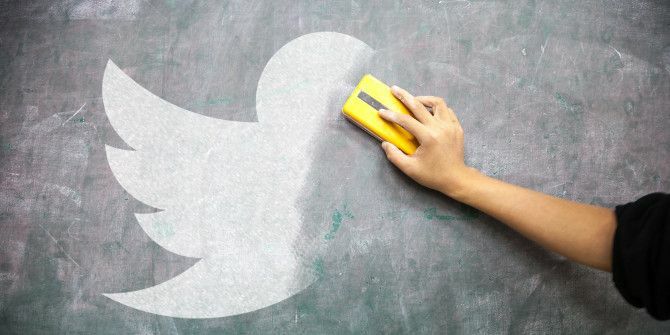 There are plenty of legitimate reasons for wanting to wipe the slate clean on Twitter without resorting to deleting your entire Twitter account How to Delete Your Twitter Account for Good How to Delete Your Twitter Account for Good Sometimes the best thing you can do for yourself is to obliterate your Twitter account. Here's how to effortlessly do that. Read More . You might want to avoid your old, embarrassing tweets being unearthed by prying eyes in the future. Maybe you’re working on “re-branding” yourself on social media. Or perhaps you just want to distance yourself from Twitter in general. Whatever your motivation for deleting your tweets, there are some reputable services out there to help you bulk delete your tweets. 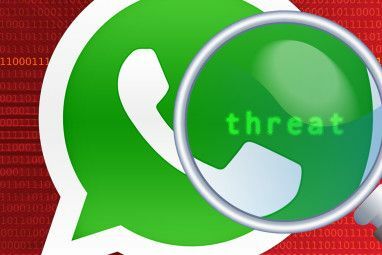 Disclaimer: Although we’ve tested each of the apps mentioned in this article, granting any of them access to your Twitter account is done at your own risk. How Many Tweets Does Twitter Store? It’s often believed that you can only access your most recent 3200 tweets, but this isn’t entirely true. Yes, Twitter limits the number of tweets that appear on your timeline to 3200 (and that’s all that third-party apps can access by default). But that doesn’t mean those older tweets no longer exist. Every single one of your tweets are searchable via Twitter’s search console, unless they have been deleted. With that in mind you should at least consider deleting all of your old tweets. Remember: Once you delete your tweets, there’s no going back. Once they’re gone, they’re gone. So, if you have any worries that you might regret the decision, Twitter does allow you to download your entire Twitter archive. This ZIP file contains every tweet and retweet you have ever sent (apart from those you’ve deleted), so you can store this wherever you like for posterity. Click on your profile picture, then click Settings and privacy. Scroll to the bottom of the page, and click Request your archive. You’ll receive an email with a link to a downloadable .zip file containing your archive. TweetDelete is arguably the most popular service created for managing your Tweets. With it, you have the option to bulk delete past tweets, and automatically delete future tweets after they’ve been live for a certain amount of time. However, due to the third party restriction mentioned earlier, TweetDelete can only delete your most recent 3,200 tweets. The script generally runs every couple of days, locating new tweets that have entered the date period you set, and deleting these automatically. Once deleted there is no way of retrieving them. If you want TweetDelete to stop deleting your new tweets, you can revoke its access to your Twitter account by going to Settings and privacy and clicking Revoke access next to TweetDelete’s entry. If you’ve accumulated more than 3,200 tweets on your account, the quickest and easiest option for you is to use TweetEraser. Yes, there is a free package available, but as with TweetDelete, this will only allow you to delete up to 3,200 tweets, and it’s not quite as simple as TweetDelete to use. But if you’re willing to cough up the small fee ($6.99) for 30-day access to TweetEraser’s main service, you can delete as many tweets as you like (for multiple Twitter accounts). Once you’ve signed up to TweetEraser, go to Tweets and upload your entire Twitter archive (which I explained how to get hold of earlier). You can then use search filters to find the tweets you want to delete (based on date, hashtags, and keywords), or you can just select all of your tweets if you’re going all in. When you’re ready, click Delete Tweets, confirm your decision, and TweetEraser will start to work its magic (it can be a little slow, but stay patient). When you bulk delete tweets, the changes can take a while to display on your feed. This is because there is a limit to the number of requests each of these apps can send to Twitter per hour. If you’re deleting several thousands tweets then, this can take a while. It sure beats than doing it manually, though. Once you’ve cleaned up your stream of tweets, it’s a good idea to keep it that way. You could either do this by only posting tweets you’re sure you don’t mind being online for a long time (read our guide to avoid embarrassing yourself on social media). Or, if you don’t want to be so cautious about what you post, simply choose to automatically delete tweets after a certain amount of time. TweetEraser (even the paid version) does not offer this feature, but TweetDelete (free) does. By deleting many, if not all, of your past tweets, you stop them from being searchable to the general public, potential employers, and nosey journalists. Yes, Twitter will still have a record of these deleted tweets in case they need to produce them for legal purposes. But at least they’re away from prying eyes, and you’ll know that less of your data is “out there” in the public domain. Overall though, this is only one step to really cleaning up your Twitter account. Next, you should consider removing all of your fake Twitter followers, and tidying up your Twitter lists. And if this isn’t going anywhere near far enough, we even have a guide to deleting your entire social media presence Go Anonymous: How to Delete Your Entire Social Media Presence Go Anonymous: How to Delete Your Entire Social Media Presence From traditional avenues to new tools, here's an in-depth look at how to delete your social media presence. Read More !